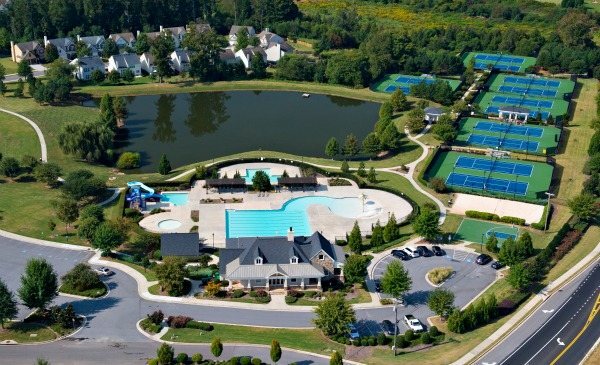 Fieldstone is one community divided into five subdivisions with housing available for all stages of life. Whether you are looking for your first home, a larger home for your expanding family, or looking to downsize and retire, Fieldstone has it all. The Court at Fieldstone specifically caters to those looking for one-level living (AKA Ranch homes in Georgia) with the options to add a second floor or basement. The floor plans are open and spacious with the desired living spaces most are seeking such as sunrooms, dining rooms, guest bedrooms and libraries.